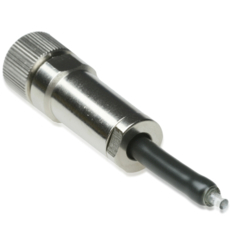 The PB-5007-0M025 stub probe monitors temperatures from -40°C to +125°C and is connected directly to the data logger without a cable. This compact design makes it ideal for use where space is at a premium and where a fast response time is required. The probe is fully waterproof.